The town of Nutley, New Jersey, first recognized in 1902, is a tight-knit community with historic buildings and modern urban amenities. With almost 30,000 residents, Nutley also boasts an abundance of natural beauty, courtesy of its 100 acres of park area, and is an excellent place to relax and enjoy a laidback lifestyle. In addition to these great features, it is also a place with numerous opportunities for shopping, dining and entertainment. Nutley is also home to many heritage buildings. Epitomizing the stateliness of these buildings is the Van Riper House, built in early 18th century. The city’s Historic Preservation Committee oversees identification and maintenance of historic buildings and structures, recording of information about these structures, and services related to preserving historic structures. Nutley real estate includes grand homes in the old quarters of the city, as well as modern apartments in the newest housing developments. Nutley properties typically range from one and two bedroom apartments to stately four, five and six bedroom houses. Major neighborhoods in this remarkable city include Nutley Avenue, Park Square, and River Road, among others, and all of these afford home buyers delightfully diverse housing options. 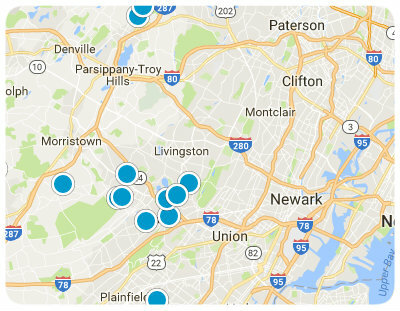 If you would like more information regarding homes for sale in Nutley, New Jersey, please contact us for assistance.